Keep the dream alive! Of course, you dream of dinosaurs roaming the world again right? 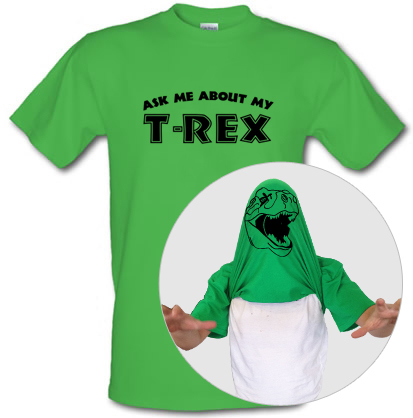 This flipping t-shirt begs observers to ask about these extinct mega-reptiles. Sad you don't have a real rex to show off though.